More Caption This fun this week, with an entrant from the mysterious depths of the Diablo 3 art reel. 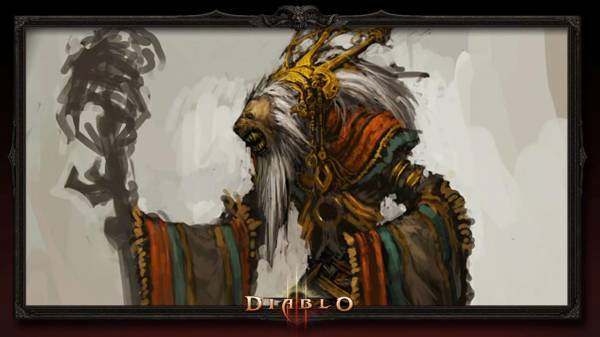 This image was on the art movie Blizzard released at the Diablo 3 debut back in June of 2008, and even two years later, we’ve still got no idea at all what/who it/he is. Undead monster? Creepy NPC? Other? I’d make more suggestions, but that would cut into the potential caption material. Have fun, and as always, the winning caption will win its author a warm, happy feeling inside. Oh snap! I live in San Antonio (just under an hour away from Austin)!!! I might actually be able to make this! If I do, I’ll try to take video (my cellie cam isn’t very good, so I probably have to come up with another way).